That’s the plan. The biggest holdup I’ve got right now is figuring out how I’m supposed to figure out shipping costs. I think my best bet would be to get one of those home digital scales for postage. Cool! Have fun at the con. 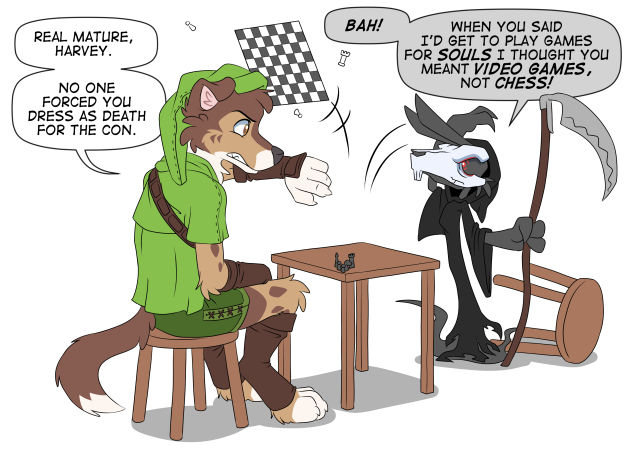 I’ve been thinking about Anthrocon for next year since it’s their 20th and I’ve never been before. But I’ll keep an eye on Megaplex if issues arise with my work schedule. It would also be awesome to have you overseas at the Eurofurence next year. If those charms are sold online, I will definitely buy at least one. Then again I need both characters, so I know at least two, though Kade is definitely my favorite of the two. Hot **** they’re finally here! The censored word is what a beaver makes. Google’s list of naughty words can be rather odd at times. I’ll probably use Paypal but I haven’t gotten around to figuring all the hidden fees and taxes out. Probably work out to something like £4-5, but then there’s shipping which I’m having a hard time finding clear information on. 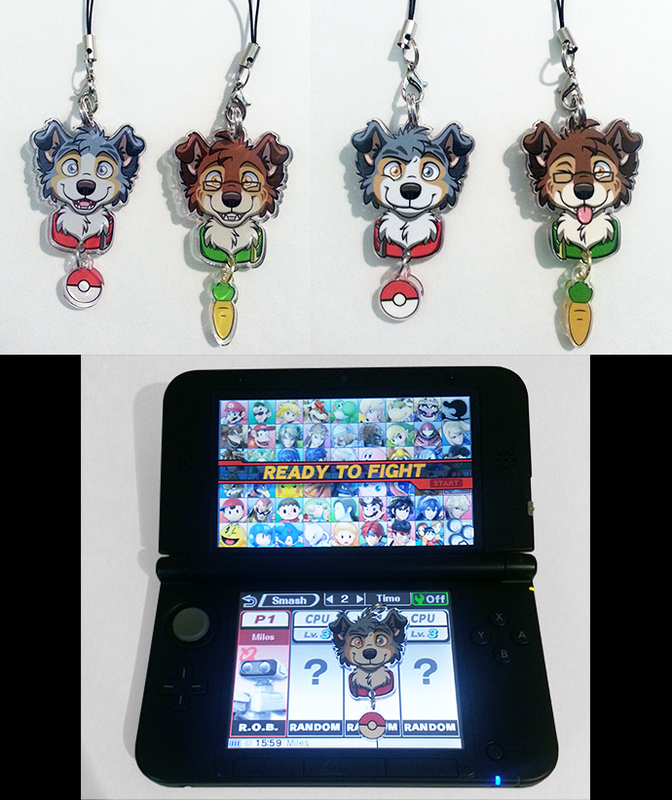 Those charms are amazing, if any are left after con I will certainly want to get one or two. Also love the death version of Harvey, with the red eyes he would make a great reaper. It was planned/wanted or Nicole has “lost” her glasses somewhere ? Nicole left her glasses in the hotel since she’s cosplaying as Linkle, a yet to be official female form of Link from Legend of Zelda. Are you going to allow PayPal as a source of payment if you do decide to sell your charms online? Awesome comics by the way. I’m planning to use Paypal so I can also cover anyone who wants to pay via credit card. Ok, so I know this might sound a little off topic, but is there going to be anything like T-shirts in the future? I think I remember seeing something about it in the comments section of one of your FA posts, and I was just wondering when they might materialize, and if they do, how much they might cost. It’s no big deal, I’m just a huge fan of the comic, and would love to see something like that eventually. I’ve been ordering shirts from different companies and I think I’m going to go with Teepublic. They’re a good price and you guys will be able to order different shirt types and colors. They also had the best print quality I’ve seen. The only thing holding these back is I wanted to get a few different designs ready. Just checked out Teepublic, seems like a good choice. And considering the skill that goes into your work, I don’t think anyone will be too disappointed by the wait, however long it is. Could i get em online?